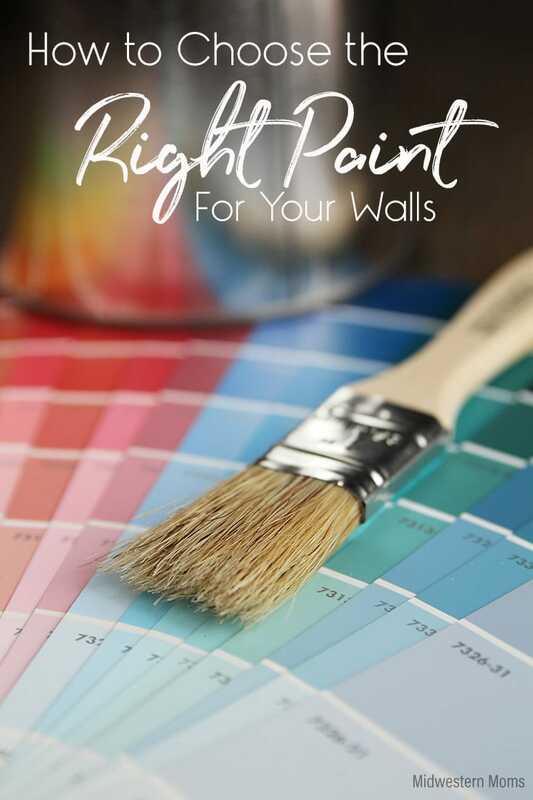 Whether you just purchased a home or it is time to update your walls, choosing the right paint can be tough. Follow these tips to make your choice easier. We have lived in our home for several years, and we are finally getting around to painting the walls. YAY! Since we are going through the whole process of picking paint colors, I thought I would share some tips to choose the right paint color for you. 1. Brainstorm color choices for a room and visit your local hardware store or paint store. Most of the time, you have a general idea of the color you want to paint the room. So, visit your local store and get paint chips. Grab several different variations of the color. Once you are home with the paint chips, break apart each color but cutting them into sections. This way your eyes won’t be distracted by the other variations on the card. I used tape to help place the colors around. I also left some space between each of the colors; it makes it easier to distinguish between the different ones. Take several days to look at the color choices in the various lighting throughout the day. Also, move the color chip to different areas of the room. 2. If your space has woodwork or trim, place the paint chip near the trim. You want to have some contrast between your trim and your walls. If you have dark trim, you may need lighter paint colors. If your trim is white, you may need to choose a color that isn’t too light. Otherwise, it may just appear that your whole wall is white! 3. Try and visualize how the color will look with the entire house in mind. Does the color flow with the rest of the house? Is it a pleasant transition from one room to the next? You want the colors in your house to flow and transition easily between rooms. 4. Can’t settle on one color from the paint chips? Get a sample color. Get a small sample of the colors you are trying to pick. Then paint different areas and decide which will look better. Having a larger area of the wall painted will help you choose. Even better – They make paintable swatches that you can move around your room to help you choose the best color! These are great to use! 5. You don’t always have to choose the hip new color of the year. You will be living within the walls of your home. Choose a color that speaks to you and that you enjoy. 6. Remember, darker colors will make a room look smaller than it is. We had a half bath that was grey, a darker grey color. I honestly didn’t realize how small it made the room feel until we painted it a lighter color. Now that the color is chosen, it is time to figure out the order for painting a room. Have any tips you want to add? Leave comments letting me know your tips for finding the right paint color.